Supplied: In three litre containers of peat-free compost, healthy and well established, approximately 4-60cm (2 feet) high, with full planting and aftercare instructions. Tsuga heterophylla is another magnificent conifer to originate from the Pacific north west of America. 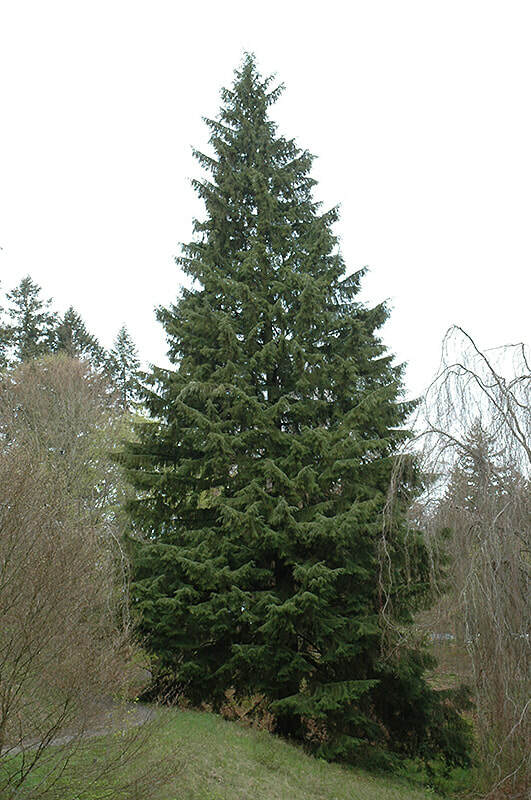 The Western Hemlock was first brought back to Britain by plant hunters in the mid 1800's and has been a favorite ornamental conifer of large gardens and estates ever since. Tsuga heterophylla is a beautiful slender conifer that is quick to grow and develop into an elegant tree with a spire like crown. Down swept branches carry small, flat, soft green leaves that are silvery beneath. Both male and female cones are produced from spring onwards and have tinges of bright red, yellow and purple as they mature. Either to use for specimen planting or to create a small plantation the Western Hemlock is a tree of outstanding beauty and makes an excellent choice. It is fully hardy and well suited to UK growing conditions, will thrive on all soils bar chalky ground and is tolerate of shade from surrounding trees.